As mentioned in the end of my Game Patches post, I have been working on a leader board ahead of the 0.0.2 release. Right now it is just a basic table that ranks players (by IP and name) based on number of kills. I will work on stylizing it more later, but as of right now the basic functionality exists and is implemented into the game. 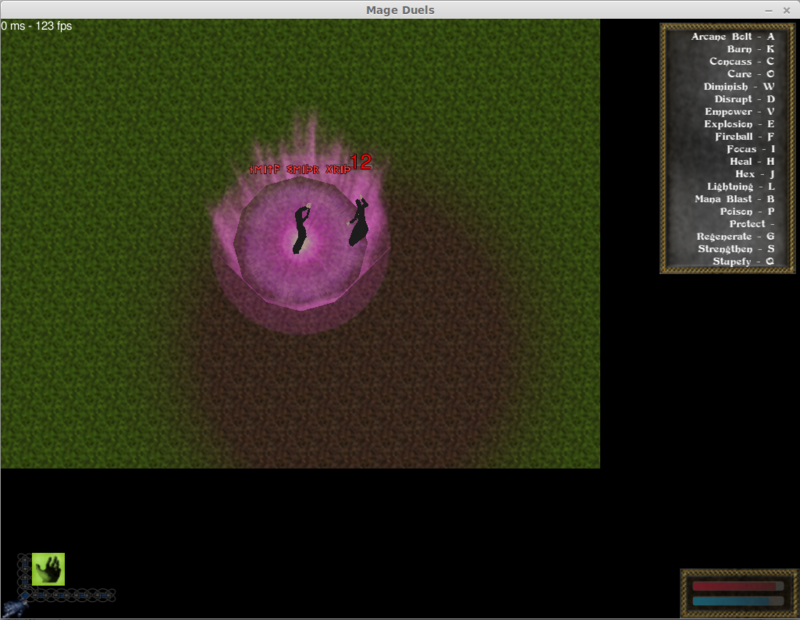 Area effect spells are in! I have been putting this one off for a little while because I wasn’t sure how to approach it. But last night I was able to get the concuss spell working and laid the ground work for AOE style spells. 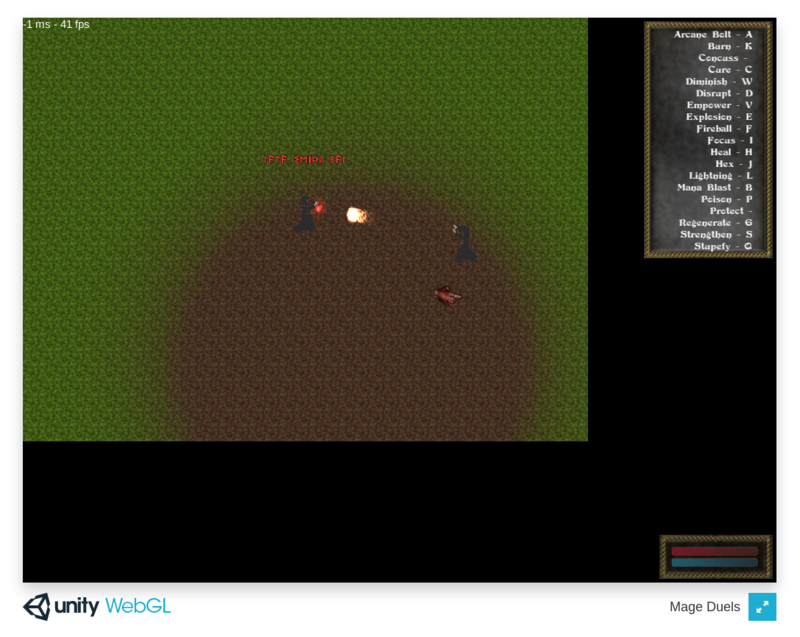 I have been trying to make a push to get WebGl working for alpha testing, however as it turns out there are a few issues with unity’s webgl at the moment. The client’s don’t fully disconnect and the connections max out, and I am still running into issues with people dropping connection when spells are casted. So until I can get a more stable build that works, I will have to resort back to standalone builds. 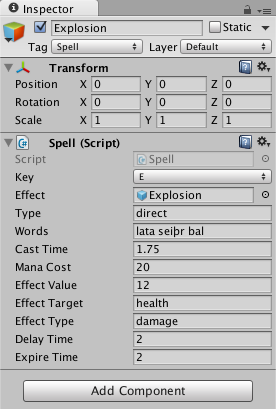 And I have learned a bunch about ScriptableObjects… I have had to rebuild a lot of how this system works. I am currently about 90% done with implementing the changes to incorporating these changes, and I was able to refactor the code into a tighter, better functioning system. 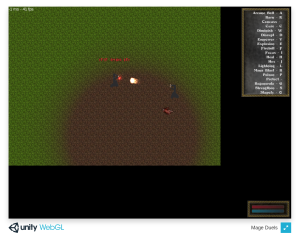 As I make the push for a WebGL, I have had to rework some of the ways I was doing things. One of the major changes is I have been stripping out the client-side code in the headless server build, and stripping out the server code in the client build. I am working hard to make certain that as much of the core functionality of the game is server side to help prevent wide spread hacking. I am also beginning to implement messaging. I have system messages being sent from the server. This will allow me to bring back chat. I am not certain if I will go for a chat window style or over the head chat yet. So because a lot of the parts of Unity are new to me, I may not have built things in the greatest way… at least not on the first pass. 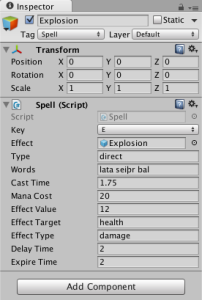 Originally I wrote the spell system with a game object that implements a script that just holds information about the spell. 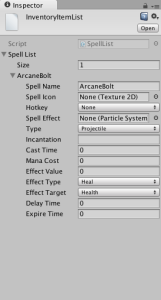 So after watching a tutorial on ScriptableObjects I have begun moving my spell system over. I put some time in to getting a test server up and running this weekend. I was hoping to have something up and running, however there seems to be some issues with dropping connections randomly and the connection locking up after so many disconnects that needs immediate attention. This process is sort of trial by fire, if you will. I have never set up a custom game server before, and it is a long ways from running a cs 1.6 server. I initially set up a VPS with dreamhost.com, unfortunately they informed me I would not be able to upload my server and run it. So I have moved over to a nfoservers.com VPS and am working on getting everything up and running. Once I have worked out some of the kinks with connection losses and the server locking up, I really hope to allow people to start trying out the game!